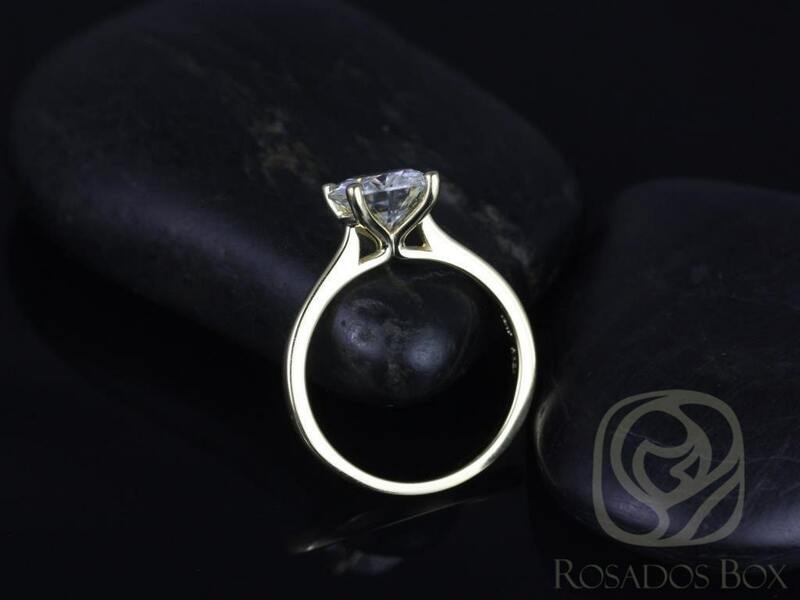 Metal Available: 14kt yellow gold ( as shown), 14kt/18kt yellow gold, 14kt/18kt white gold, 14kt rose gol,and platinum. I cannot thank the Rosados team enough. 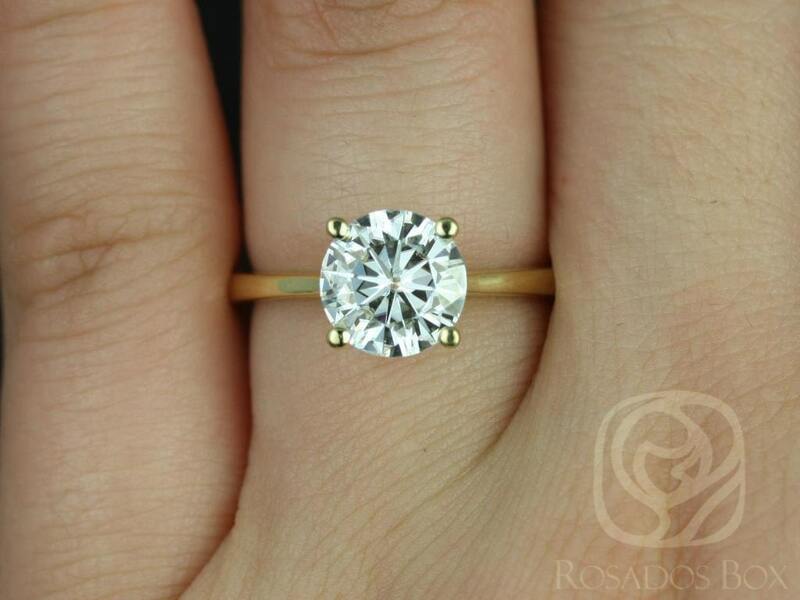 This ring is gorgeous. Its a showstopper. 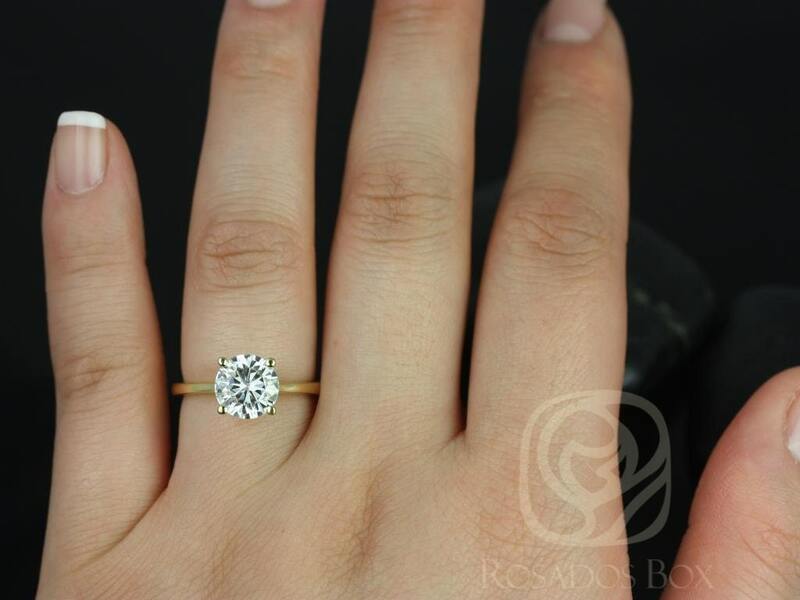 The stone has impeccable clearity with amazing sparkle. 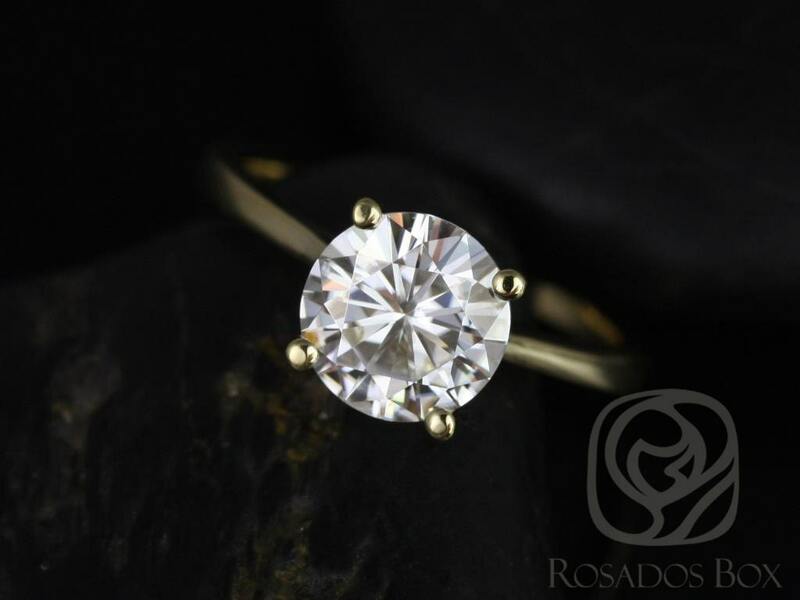 I was concerned that the moissanite would be yellow or hazy but it is truly colorless. 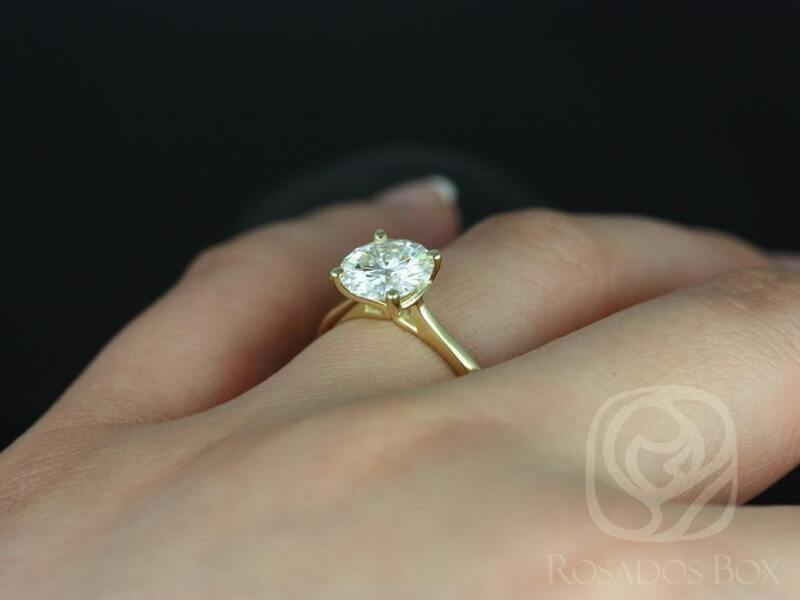 It has a natural elegance. I get so many compliments! 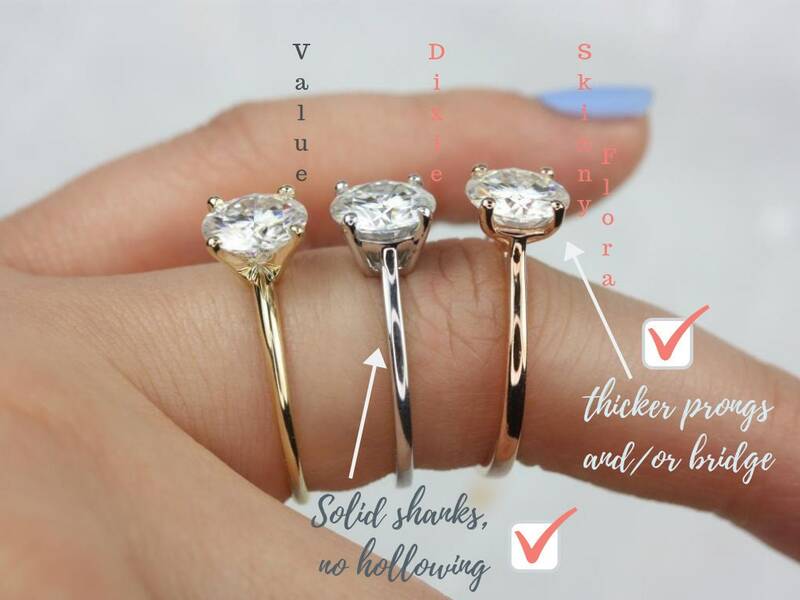 I was very nervous buying a ring online but I will forever be a return customer. Their customer service was amazing - working delivery around my crazy 12 hour shifts. I purchased the sizing tool and used that to select my size - perfect fit! 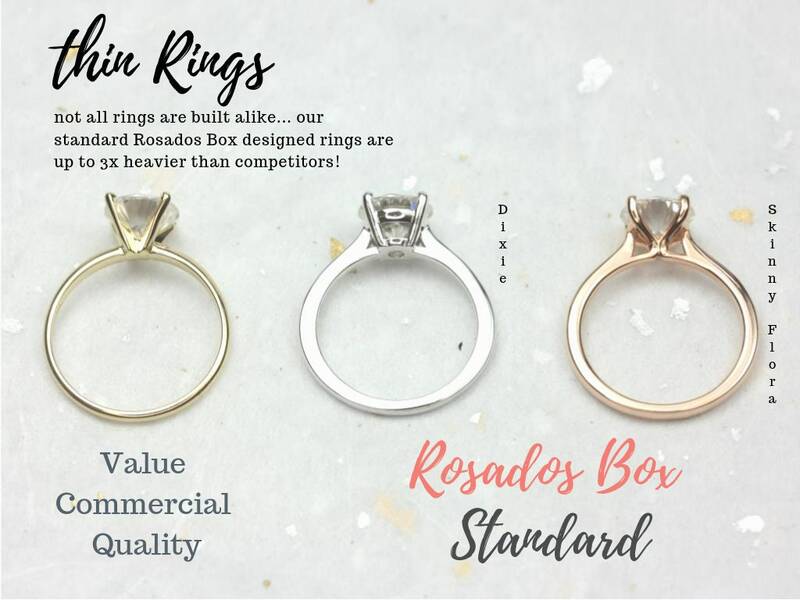 We will both be purchasing our wedding bands from Rosados!